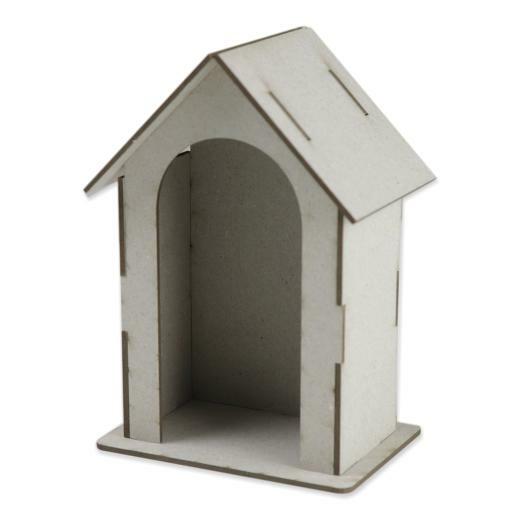 Laser cut from top quality 2250 micron greyboard this shrine can be altered to suit many themes. Supplied flat packed and easily slots together (glue required). Overall size of constructed shrine is 143mm high x 100mm wide x 70mm deep.